Back in the days before stringent rules governing the sale of drugs, store shelves were awash with medications bearing pretty labels extolling their ability to fix all sorts of diseases. 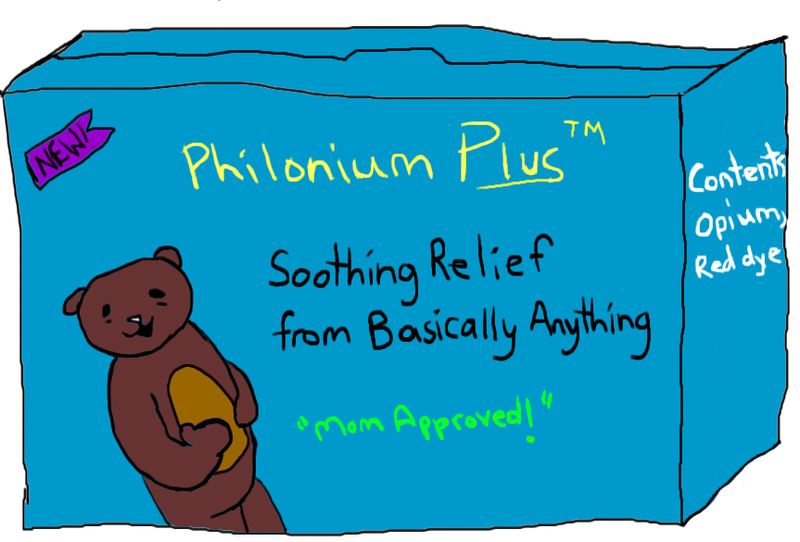 Many were patent medicines containing lots of alcohol and/or opium, which of course on their own can temporarily numb pain and perhaps convince you that your particular illness isn't quite so bad. These medicines were often named after people involved in their creation and were generally useless aside from the booze and/or dope. Going back even further, people were really into throwing all sorts of weird plant bits together, calling it an antidote capable of treating basically everything, and eventually having it named after themselves. 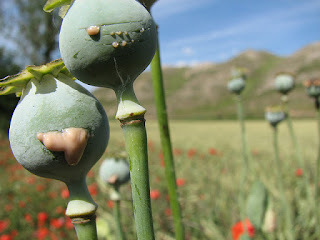 For this post I'm going to focus in on the various opium-containing mixtures that have been introduced over the centuries and named after people. Opium is what you get when you slice into the unripe seed pods of the poppy plant (Papaver somniferum) and let the milky liquid that leaks out dry in the air to form a brownish gum-like bit of gunk. This can be further dried and ground up into a powder. Opium has been used since ancient times as a painkiller, an ability made possible by the presence of several alkaloids, the best known of which are morphine and codeine. Mithridatium refers to a super complicated antidote (dozens of ingredients, predominantly from plants) named for Mithridates VI, a king in Asia Minor who was a thorn in the side of the Roman Empire circa 100 BC. Mithridates apparently spent a fair bit of time studying drugs, and the story goes that he invented the antidote as part of a personal quest to become invulnerable to poison. After finally being defeated, his recipe was confiscated and modified by Roman physicians. Thereafter it grew in fame and became popular in Europe for centuries through to the Renaissance. 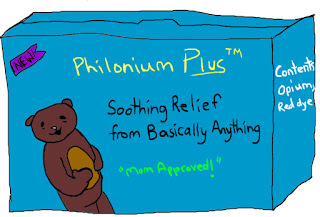 Philonium was an antidote apparently developed in the first century AD by a Roman physician named Philon of Tarsus, who used it to treat an epidemic of colic or dysentery in Rome. His recipe (opium, white pepper, ginger, and caraway seeds) became the basis for Confection of Opium, a preparation that was listed in English pharmacopoeias (books on how to prepare medications) up until the later half of the 19th century. In the late 17th century, two types of laudanum (medicines containing lots of alcohol in addition to opium) rose to prominence in Europe. Sydenham's laudanum, named for the physician Thomas Sydenham, was popular in England and consisted of opium, saffron, cinnamon, cloves, and white fortified wine (e.g. sherry). Sounds very tasty. Sydenham is otherwise known for writing a popular medical textbook and describing a neurological disorder that came to be called Sydenham's chorea. Over on the Continent, Rousseau's laudanum was the cool medication to take. It's named after a monk from Rome who studied medicine in Paris, and is basically mead (fermented honey water) with a bit of opium mixed in. Leave it to a monk to work fermentation into making a medicine. Le Mort's elixir (Elixir Asthmaticum, referring to its intended use as a treatment for asthma; later called paregoric) was developed in the early 18th century by a chemist named Jacob Le Mort at Leiden University. It's composed of, among other things, opium, wine, honey, licorice, camphor, and aniseed. Matthew's pills or Starkey's pills were named for the doc who invented them (Starkey) and the guy who sold them (Matthew). They were made up of opium, something called soap of tartar, and a bunch of other unimportant stuff. Finally, Dover's powder is a mixture of opium, potassium salts, licorice, and ipecac, the latter being gunk from the underground parts of a tropical American plant that makes you puke if you ingest a bunch of it. The powder was named for Thomas Dover (1660–1742), who introduced it as a treatment for the pain caused by gout. The bogus idea behind it was that it would cause a person to sweat a lot, thus eliminating a bunch of harmful and totally mysterious fluids and other materials. Dover was an English dude who studied medicine and then decided to take to the seas, adventuring around the globe. He is pretty famous for rescuing a guy named Selkirk. Dover's powder was typically administered by mixing it into white wine posset, a weird English drink made by boiling milk and then mixing in booze to curdle it. Phear DN. 1954. Thomas Dover 1662-1742: Physician, privateering captain, and inventor of Dover's powder. Journal of the History of Medicine and Allied Sciences 9(2):139-156.